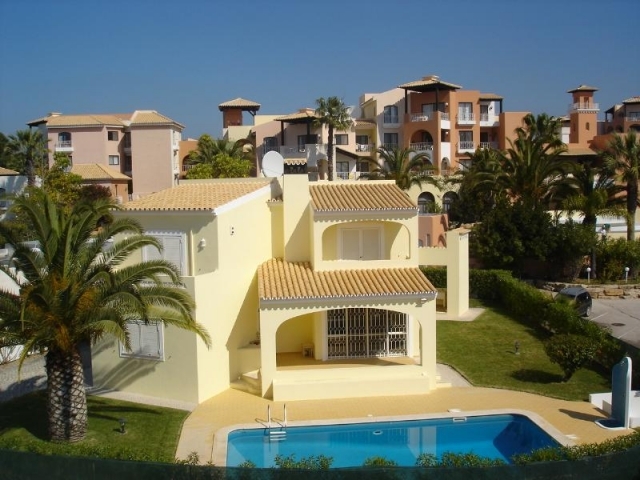 Lovely, ground floor, 2 bedroom apartment set in the Vale do Milho Golf Development, near the picturesque village of Carvoeiro. 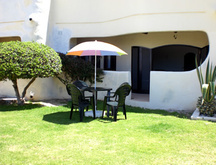 The apartment has 2 bedrooms, 1 bathroom and a patio area. 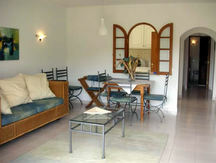 It is located close to the beautiful, communal pool. 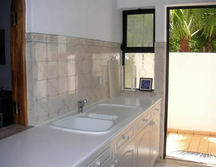 there is also an additional outside wc belonging exclusively to the apartment, near the pool area.There are only 2 storeys in the small apartment block. The Vale do Milho Golf development has a 9 hole golf course and is just a 2-3 minute walk away from the pretty beach at Centeanes. There are a number of other beautiful beaches within a 10-15 minute drive. 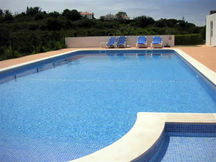 The centre of Carvoeiro with its many shops, restaurants and bars is a 2-3 minute drive. You can also find shops and restaurants, as well as tennis facilities, within a 5 of minute walk of the apartment at Rocha Brava. 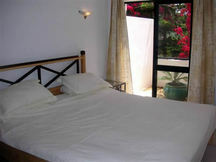 The apartment is ideally located for access to golf courses and other leisure activities. 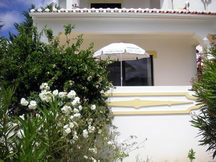 Please quote reference: a4m: 976 apartment "2 Bedroom Apartment, Vale do Milho Golf"